Looking for the perfect New Zealand baby gift? 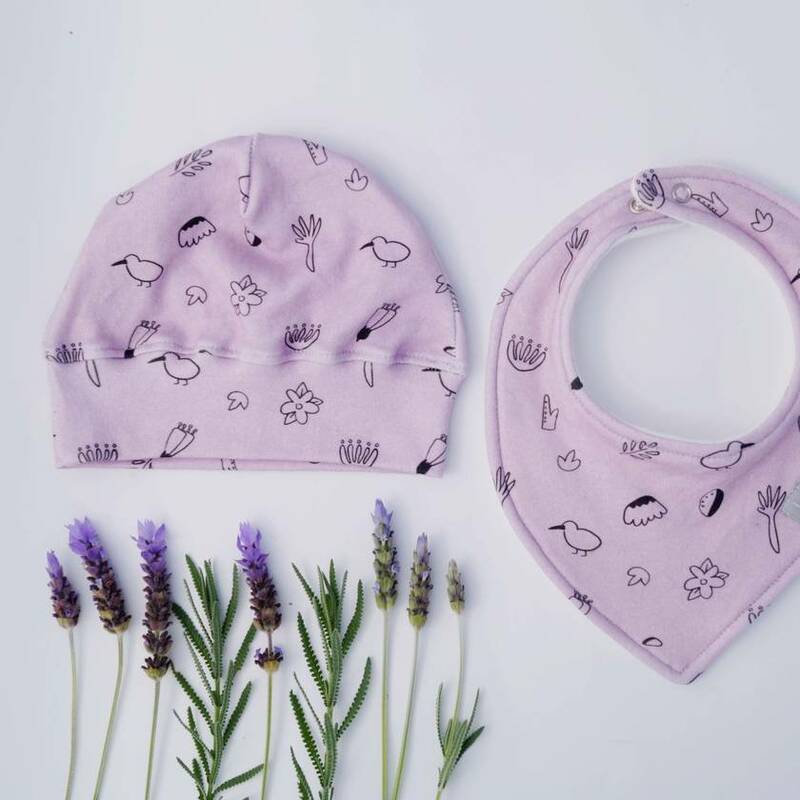 This hand-drawn organic cotton print featuring iconic kiwi natives is exclusive to lola&me organic babywear and available in two colours - Sage and Lavender. 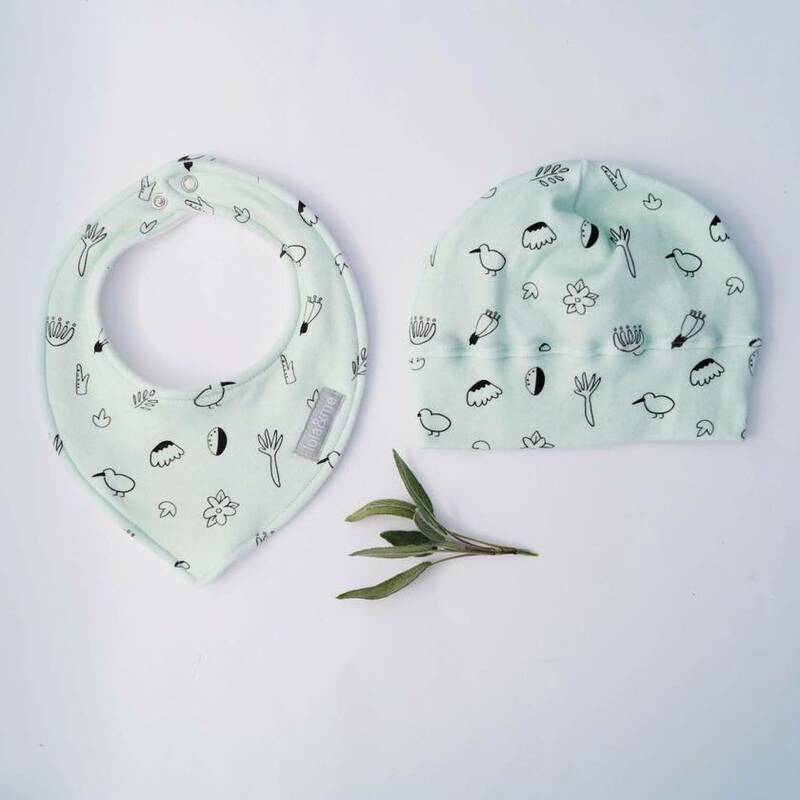 Organic cotton classic beanie with matching triple layer dribble bib. Comes in two sizes 0-3 months and 3-6 months and beautifully gift wrapped. Please state size and fabric (sage or lavender) when ordering.